Anyone who owns a cat has probably experienced stepping on an icky, yucky, slimy, fluffy and wet hairball. It may be in different situations but surely it was an experience no cat owner would really want to experience twice. Why do cats cough up hairballs? You may ask. Why do cats, which happen to be the most adored and famous pets in the world, have to do something so revolting and why do you, the one who loves and owns them, need to step on these hairballs one way or the other? Well, hairballs are actually products of the cat’s grooming. You might have seen your lovely and adorable feline licking itself while you to are bumming around the living room, slouching on your couch, eating Lays and watching your favorite reality TV show. It so happens that this licking process, that is a natural habit of your feline baby, which is your cat’s way of cleaning and grooming itself is the cause of that slimy thing which must not be named and mentioned especially on the dinner table. As your cat cleans itself through its tongue, it accidentally swallows its dead fur. If this stays in their tummy and not washed out of their system, it piles up and becomes bigger and then clogs the stomach of your cat. Now if it can’t go through down there, it will surely go out the different way. Alas you have an icky, yucky, slimy, fluffy and wet hairball ready to be stepped on. This is actually natural but of course something not something we desire to happen in our own homes. If this happens frequently, you the pet owner, who loves your cat very much must switch to panic mode and pay attention to your cat’s excessive hairball hacking. If your cat’s hairball hacking turns to be alarming, you’ve got to see your vet right away and have your cat checked. Of course your vet knows the answer to any of your feline inquiries. Now that we have answered the question “ Why do cats cough up hairballs?”, let us now work on the next question that we will surely ask next; “How can we get them to stop?”. Here are some tips on what to do when your cat coughs up hairballs. Removing the dead fur yourself. – The more dead fur you take away from your cat when you do its cleaning and grooming, the less hair your cat might or will ingest. Getting to the core of the problem first before they do can really help your cat out. Fiber and more fiber. – It’s just like why we need fiber when we get constipated. If you furnish your cat with more fiber, the more help it gets in flashing away those trapped hair through the right pipe. You can actually give your cat extra fiber supplement alternately or you can also purchase cat food products that are made high in fiber. Lubricants. – Some commercial lubricants that are actually in the market for the taking can help your cat dispose of the hair. They may enjoy the taste of some lubricants so it won’t be difficult for you to make your cat take it. You can just put it in your cat’s nose or have your cat lick it right from your fingers. When asked how long do cats live, others would jokingly say that cats have nine lives and for that they may be the longest living creatures in the world! Based on the statistics, an ordinary indoor cat’s life expectancy is up to twenty years. There are loads of reasons why cats do not reach their twentieth birthday and worse they even don’t reach half of their estimated life expectancy. But according to studies, a cat’s life expectancy these days are way longer compared to cat’s life expectancy decades ago. This may due to the change in purpose and reason of humans on why they decide to own a cat. Back in the early days, cats were mainly kept in barns and farms for the purpose of hunting mice and other rodent and pests. Even though they performed their jobs in an incredibly excellent manner these lovely felines weren’t pampered as todays housecats are. They didn’t have a warm home to spend the night in, and were inevitably and consistently exposed to injuries, mishaps and diseases. They were also poorly fed thus putting them in a situation where in they didn’t have much choice but to feast on their victims who are most of the time carrier of diseases. As a result, they did not get the right nutrition that is appropriate to their built and what’s worse is that they lack medical help from professionals. Nowadays, as the cat’s role in households has been upgraded, their life expectancy has skyrocketed as well and the question of “how long do cats live” has a much happier answer. Now that they are loved, pampered, trained, nurtured, groomed and cuddled they live longer and thus gave us more chances of becoming happy while sharing more wonderful and unforgettable memories with them. Although these days, barn outdoor cats that were meant to hunt pests still exist, most are now vaccinated, given good cat foods that are appropriate for their needs and purpose, regularly checked up by their vets and given enough attention by their masters. Too bad some are still treated roughly and they still couldn’t make it to their twentieth birthday. Some common causes of a cats early demise are traffic accidents, poisoning (this may be accidental of intentional), cat brawls, diseases acquired from other cats, being picked up by animal control and later euthanized when not claimed and death due to predators. 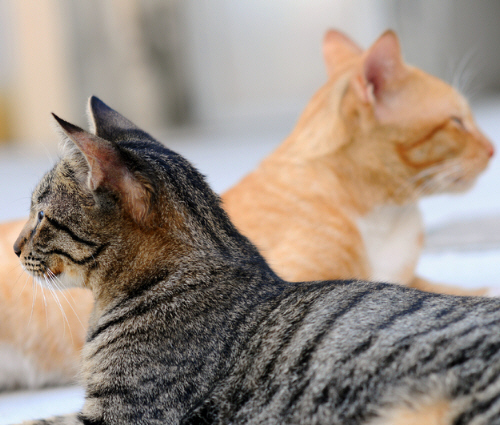 Stray cats die because of starvation or any or combination of the causes earlier mentioned. So, as you can see, your cat has a better chance of living a lot longer if you keep him indoors at all times. In order for our affectionate, sweet and smart feline friends to stay longer by our sides there are lots of matters to be taken care of. Cats, just like humans, need proper diet and regular exercise in order to live longer. Factors such as of their being an indoor, outdoor or a combination of two, physical attentiveness and heredity issues do really affect their life expectancy. When it comes to ensuring our cat’s chance to celebrate its twentieth birthday with us, getting the appropriate vet care is essential. So, the ultimate answer to “How long do cats live?” rests in the hands of the cat owner. Treat your cat with care and provide the proper housing, nutrition and love and your cat will live for a good long time. 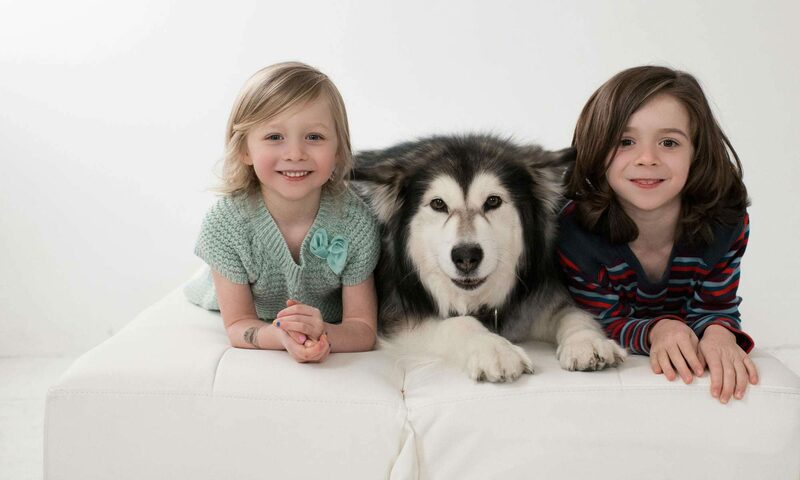 Just like humans, our pets grow old too! And as they grow old they tend to develop illnesses just like we do. Even if cats are considered as low maintenance pets, they are not exempted to this cycle of life. One of the most common illnesses that cats usually acquire is arthritis. Now, it is never safe to self-medicate you’re your cat to provide pain relief, The pain relief that you might use may not be the right pain relief for cats. NEVER give your cat household pain relievers that you would use for yourself. Even a small amount of pain killers like those of manufactured for small creatures or even pain killers intended for babies can be lethally dangerous to your cat. If you want to use science in aiding your cat with its discomfort, it’ll be best to take your cat to the most trusted vet in your town and have it checked by a professional who knows exactly what to do. Declawing Cats – Is it Necessary? Declawing cats might seem necessary for some people, especially for those who hav expensive furniture and home furnishings and they do not want to see scratches on them. Other people are afraid of their cats scratching them or their children. Some veterinarians even include this in their packages which could make you think it is okay to have your cats declawed. However, you might be subjecting your cat to unnecessary, even inhumane, pain if you decide to have him declawed. Just imagine this: what would you feel if your fingers were cut off, one by one, from the last knuckles in your hands? Could you function properly afterwards? Some say declawing is to a cat as cutting off the ends of your fingers is to you! Declawing cats is not like manicure or trimming fingernails like in humans. What you are actually doing is you cut off the last bone from your cat’s claws. Does that sound like a trip to the salon to you? No matter what kind of procedure you will use for declawing your cats—traditional surgery, laser surgery, or tendonectomy—they are all unnecessary. Do not let your beloved pets experience unnecessary pain and discomfort just because you want scratch-free furniture. Not only they will feel intense pains and it takes time for them to recover. They will not also be able to do what every cat can do. That is, to scratch. Also, claws protect them from enemies or predators. 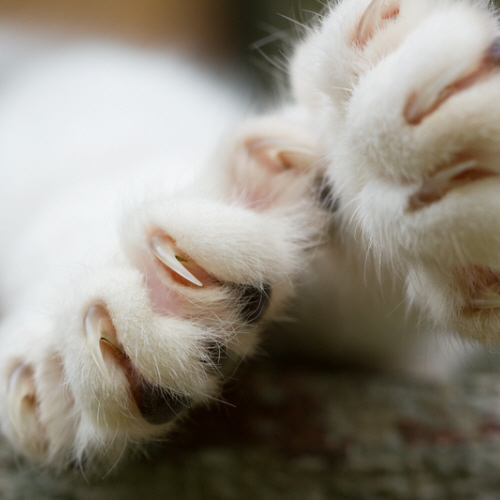 Without claws, cats are very vulnerable so if your cat goes outdoors at all you must not have him declawed or he will not be able to protect himself against predators. Moreover, your cat may lose its grace, elegance, and agility and could become lame and clumsy because they no longer have the normal and natural designs for their bodies. Now that you know what really happens when you declaw cats and the effects of it, you can now think of alternatives or other options that will prevent your cat from creating too much damage in your house. What you can do is to train your cat by getting him a scratching post. You can teach him to scratch it instead of scratching your home furnishings. It may take longer time but at least your cat will not suffer from pain they will get when you declaw them. Moreover, you can trim the front claws of your cat. This is the one which is similar to trimming a person’s fingernails. Be careful when you do this though. You can also use nail caps for each of your cat’s pointy claws. These fit over the tips of the claws covering up the needle sharp points that can damage your furniture. These are replaceable and can last for up to 4 to 6 weeks. But keep in mind that you only trim and put claw caps on cats that are always indoors. In contradiction to the saying that cats have nine lives, cats only possess one precious life just like every creature in the world. Our role as their masters and protectors is that we must learn the basics of caring for them. And we must be able to perform this health care for cats to the best of our abilities. We need to understand our cats. We have to learn what is normal to them and we should be keen in observing their behavior. Knowing what a healthy cat looks like should be a must in order to become a responsible cat owner. One way and probably the best way to watch over our lovely felines is by performing a mini-physical examination to our cats on a regular basis. Plus seeing your friendly vet on regular check-ups. And we say performing a mini-physical examination on a regular basis, we mean an ideally once a week grooming session with your cat. First of all we need to make ourselves and our cats to feel comfortable as we conduct our mini-physical examination. The skin and the coat. 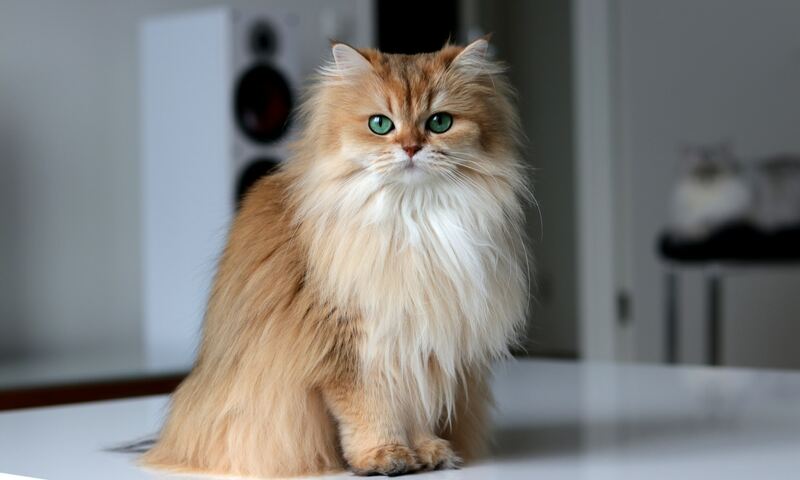 – As you perform your grooming session with your cat, you will get the chance to examine your cat’s body. Let your hands pass over your cat’s body and feel if there are any irregularities or weirdness such as bumps, lumps or swelling. Take note of the cat’s fur. If you ever find some patches of hair loss or fleas or any unwanted creature like fleas for that matter, inform your vet right away in order proper medication may be provided for. You should also face your cat away from you and gently lift your cat’s tale. If you get to notice some tan colored rice shaped objects right there, you might be looking at tape-worm eggs. This must be taken into priority. The eyes. – Your cat’s eyes can show if it is in good health or not. A healthy cat has bright eyes and equally sized pupils. Gently roll down your cat’s eyelids and see if the tissue lining the lid is pink. If it’s red or white something is wrong with your kitty. The ears. – Flap your cat’s ear and see if it is clean. It is actually an important part of health care for cats to be sure their ears are not harboring ear mites. If it’s not, don’t clean it by yourself. Get a professional to do that for you. Probbing on your cat’s ear might cause irritation or infection. 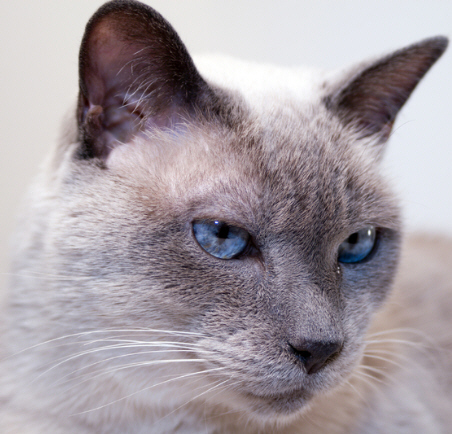 Your cat’s ear must be light pink in color, not swelling and not secreting any stenchy odor. The mouth and the nose. – You also need to examine your cat’s gums and teeth. A cat’s healthy gums must not be swelling and must be pink in color, not red nor white. Your cat’s teeth should be clean free of brownish tartar. Smell your cat’s breath, although cat’s breath was never of heavenly scent, irregularity on this department might mean something bad. Too much drooling may also be an indication of a possible oral disease. The cat’s nose should be pink as well. Your cat’s pulse rate. – The normal pulse rate of an adult cat is 140-220 beets per minute while on kittens range from 160-240 beats per minute. You can get your cat’s pulse rate on the inside of the hind leg near the groin. 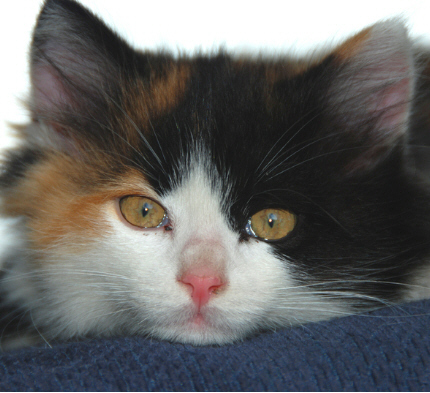 Paying attention to your cats mood and habits as well as performing a little examination is all part of health care for cats that should be done by every cat owner. 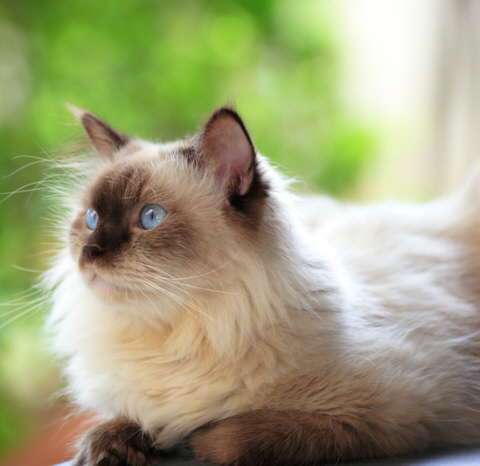 Keeping your cat in good health will insure that you have your furry companion with you for many years to come. Like human beings, pets also go through anxiety and instinctually crave enclosed and protected places. However, it is not always possible for you to have your pets sleep with you and for this purpose, BedHug have introduced burrow blankets which gives the comfort and protection which your pet needs. These pet bed covers are fluffy and comfortable and allow your dog or cat to relax in when they are feeling anxious. 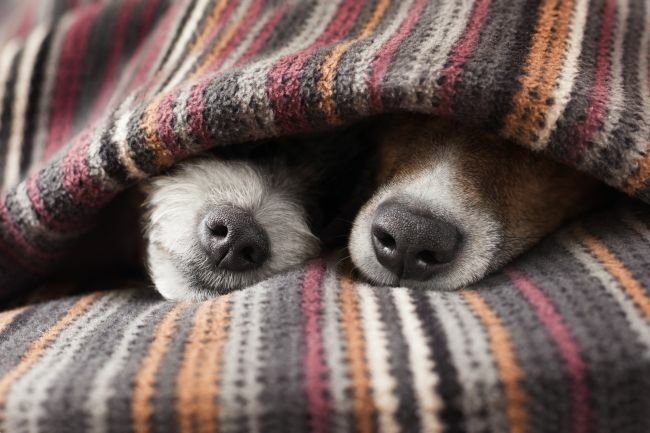 This anxiety might occur when you leave the house, resulting in your pet creating havoc, hence, in your absence, the burrow blankets can serve as their cuddle buddies to soothe their nerves. BedHug provides these pet bed covers in one size, which fits most pet beds, however, the three different colors lets you choose the one that your pet would love the most! The burrow blankets are extremely soft and would ensure that your pet sleeps peacefully throughout the night. Due to the instincts of pets, especially small cats and dogs, to burrow, BedHug introduced these pet bed covers to ensure a place where your pet feels protected. Bed hug also ensures that they give back to the pet which is why with every purchase, they contribute for animal shelters and rescue which gives you all the more reason to go out and make your contribution for your pet and other animals too. Buying a cat is one of the most amazing experiences after which the owner sets out to buy organic food, little toys, and what not to make sure the new pet feels at home. The modern era, however, demands cat accessories to be available at a different level. Here we have the introduction of modern cat beds. These are not just ordinary pillows that your cat can laze around on all day. A wide range of collection is available at Ultra Modern Pet. The different range of styles of the modern cat beds varies from contemporary to modern to minimalist, anything that you believe would suit your cats’ needs is offered. These beds even have attractive names to set themselves apart from each other. You have the ‘Kittibunk’, which is a shallow cylindrical bed with an additional place for resting on the top, like a bunk bed. The ‘TeePee’ is like a hut where your cat can go inside and close the door and rest. 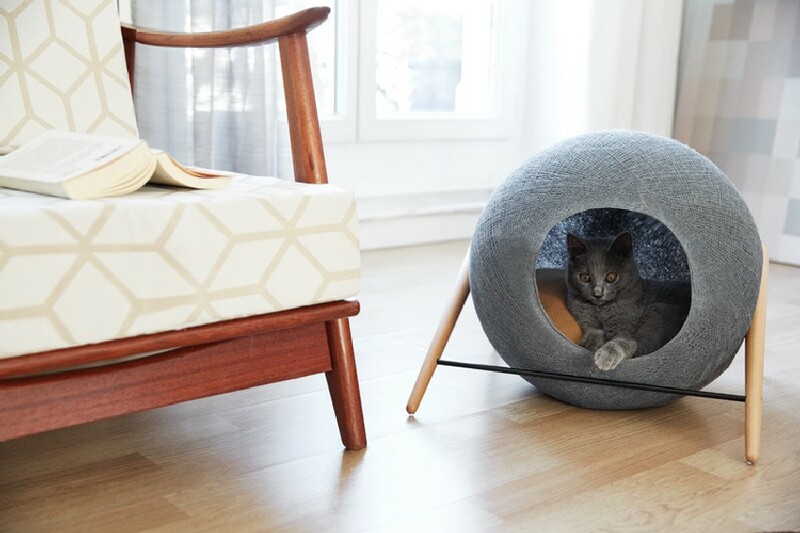 These modern cat beds are crafted by designers from all over the world. The different designs, styles and colors along with the diverse use of materials, such as fur or leather and eye catching patterns is why you should buy your modern cat bed. Another appealing aspect of this brand is that 30% of the proceeds go to animal charity! So what are you waiting for? Get your cat and start shopping for its comfort by buying the most stylish and elegant bed to suit its needs. After the crucial process of selecting a dog that suits your lifestyle, there comes another process: how to train your dog? This course of action is not as simple as it seems and requires complete dedication from the owner along with the use of right equipment. 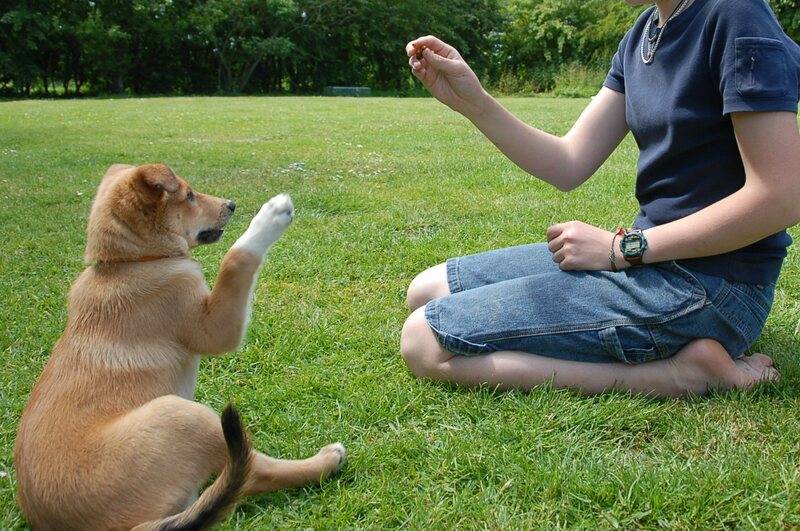 There are various kinds of training that are required for a newly bought dog. These include leash training, house training, crate training and obedience training. Each kind of training has a different set of procedure that needs to be followed. The first step in training your dog is to give it a name that catches its attention when you call out for him to ensure an efficient training. The most vital part is to appoint a particular time daily for training and associate your dogs’ good actions with rewards to create a positive association. Similarly, bad habits should be punished to further stop your dog from carrying out such acts. The mental state of the owner is highly important. Remaining calm and neutral is the key to carry out an effective training session. Agitation and aggression might result in a negative result of the training. To train your dog, you also need the proper equipment. This includes leash or a collar to keep him within the boundaries of a certain place. A wireless dog fence can also be used to restrict your dog from leaving the premises of your property. Your pet requires proper training to adjust in to your lifestyle and bring comfort instead of chaos. Moreover, with the right techniques and steps, the process to train your dog becomes relatively easier and faster. Dog shock collars are commonly used when enforcing rules between you and your dog. It doesn’t matter if you want your dog to stop barking in the park where you walk it every day, or at home, where your neighbors are equally annoyed. 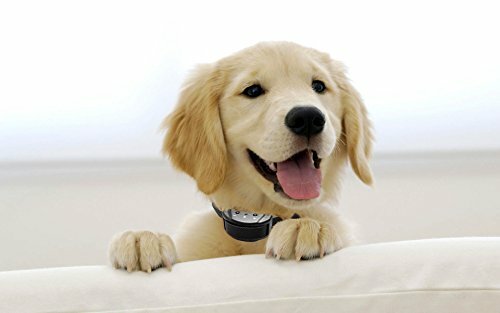 Before buying the shock collar, you must read the article and check the top rated dog shock collar reviews and details guide from DogCollarZone.Com. What is the best dog shock collar? There are three types of dog collars available: shock collars, ultrasonic collars, and spray collars. The shock collars are also known as the static collars, because they release a harmless low volt electric shock to your dog’s neck as a result of its incessant barking. The ultrasonic collars sense when the dog barks, and so as a result of that, it sends an annoying noise that dogs don’t like, although people can’t hear it because it’s beyond the range of what we can hear. The last type of collar is the spray collar, which squirts out a liquid that is totally harmless to the dog, but it is totally irritating at the same time to the dog. The most popular type of dog collar right now is the dog shock collar. These shock collars perform in two different ways, which you get to choose from. When you purchase a shock collar for your dog, you decide if you want to control whenever it shocks the dog, or if the collar itself automatically performs. If you want the collar to perform on its own, then no worries, because that is exactly what it will do when it senses that your dog is barking. If you want to make the collar shock your dog when it is misbehaving, then that is beyond simplicity. When you buy a dog shock collar, you can buy one with a remote control that has a button on it. When your dog is misbehaving, then just press the button, and it shocks your dog. These types of collars work with the remote up to 600 feet away! At first, your dog may not notice that it was actually ‘shocked,’ but after a while, as the collar, or you, keep shocking it, your pooch will notice a pattern there, and eventually your dog will know that you are shocking it because of its annoying barking that drives everyone around crazy. If your dog starts to bark even more as a result of the shocking, then level it down, as in, don’t shock it so often. You aren’t supposed to shock in order to give your dog a panic attack. You are supposed to be shocking your dog to stop the habit. In fact, dog shock collars don’t just come in just one action. It can do three actions: shock the dog, vibrate the dog’s neck, and also send a sound that it does not like, even though it is not an ultrasonic collar. Dog shock collars don’t have to be used only when the dog barks. If your dog doesn’t have a barking problem, then buy the remote kind, so you can control anything you don’t want your dog doing. For example, if your dog has aggression problems, and your dog is growing at a guest that came over, then shock the dog. This method can be used on a dog that is 6 months old, or a dog that is at the least 8 pounds. As your dog gets better accustomed to the shocking, and stops barking so much, then I would first of all recommend using the collar less and less. When your dog only barks occasionally, I would take that as a signal and I would stop using the shock function, and stick with the vibrating and sound function.